We’ve partnered with Alienware and Gosugamers.net to bring you real treat: The Alienware Awesome cup! 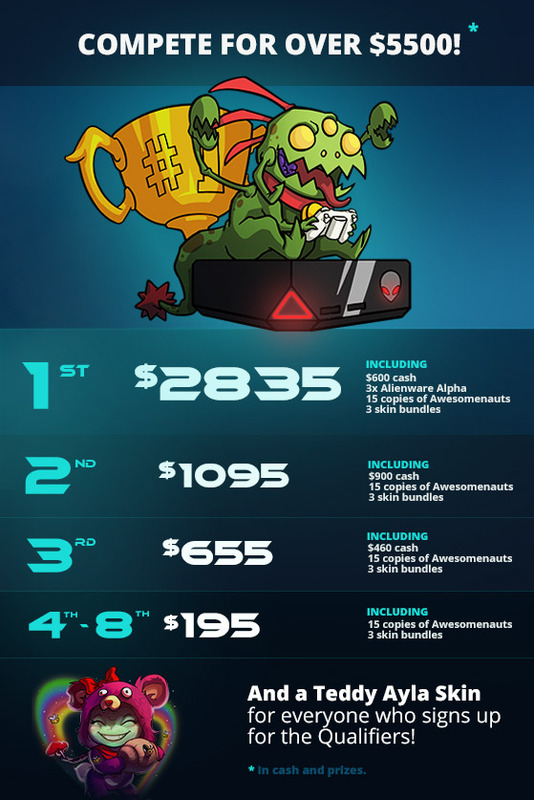 With over 5500$ in cash and prizes, this will be by far the biggest Awesomenauts competitive tournament to date! We are gathering the best Awesomenauts players and you could be joining them. Compete for cash prizes, the Alienware Alpha and most importantly – bragging rights!